So, given that brushing and flossing twice a day is the best way to keep tooth decay at bay, you must make sure you are keeping up with your routine hygiene visits/ teeth cleanings at our office in order to ensure continued health and avoid any potential damage that can come from unchecked decay. 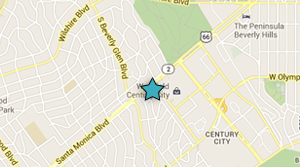 At Century City Dentistry, our team works hard to educate each patient on the importance of proper dental hygiene. We guide you on proper techniques to use at home to keep your smiles at their healthiest. We work hard to be of service and ensure that our knowledge and experience is of the highest quality. This level of quality and dedication needs to extend into your personal oral hygiene routine. We can help you establish a dental hygiene routine that will keep your teeth healthy. After all, your teeth are meant to last you a lifetime! If you have any questions about your current hygiene plan, please ask us. Oral cancer screenings are a very important part of the dental visit for the patient. With the advances in modern technology, we are now able to pinpoint the start of a potential problem much earlier in its evolution, enabling us to treat any issues prior to them becoming a major irreversible problem. The oral cancer screening is often completed with an ultraviolet light or similar device that allows us to view issues that can’t always be detected by the human eye under normal conditions. Often we are asked what the main difference is between a routine hygiene cleaning and deep cleaning/ root planning. Scaling is basically the process of removing dental tartar from the surfaces of the teeth. Root planning is the process of smoothening the root surfaces and removing any infected tooth structure. If you have gum disease or gum pocketing, the gum pockets around the teeth will have deepened, thereby allowing tartar deposits to form under the gum-line.